This Side Table of New Walnut was designed to compliment the Side Table of Old Walnut. 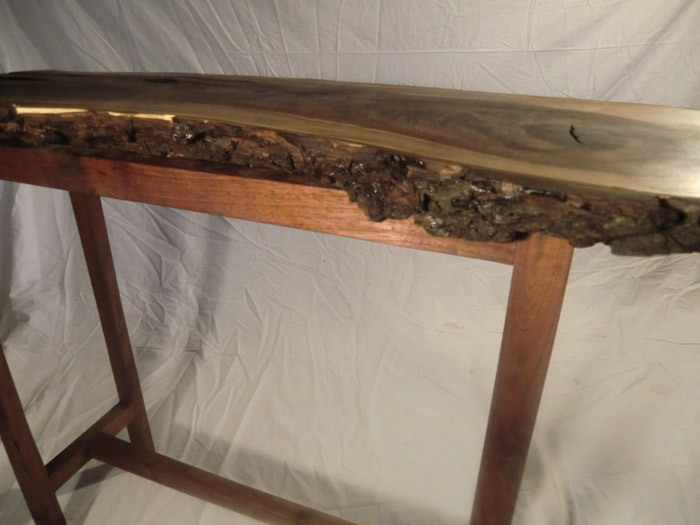 While the Side Table of Old Walnut features a table top of old barnwood walnut, cut over a century ago, the Side Table of New Walnut features a table top of recently milled walnut from a walnut tree that fell in Central Ohio. This is more than just a play on old and new woods; it is a play on live versus cut edges of wood and on freshly cut and planed surfaces versus weathered surfaces. 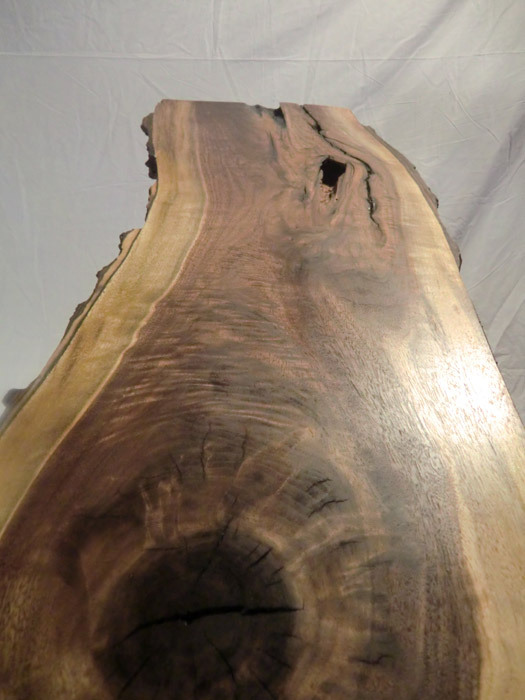 The bottom of this live edge walnut table top has been notched out so that it sinks into the table base, giving the appearance that the bark has grown around the table top. The highly figured table top surface has been hand rubbed with oil. 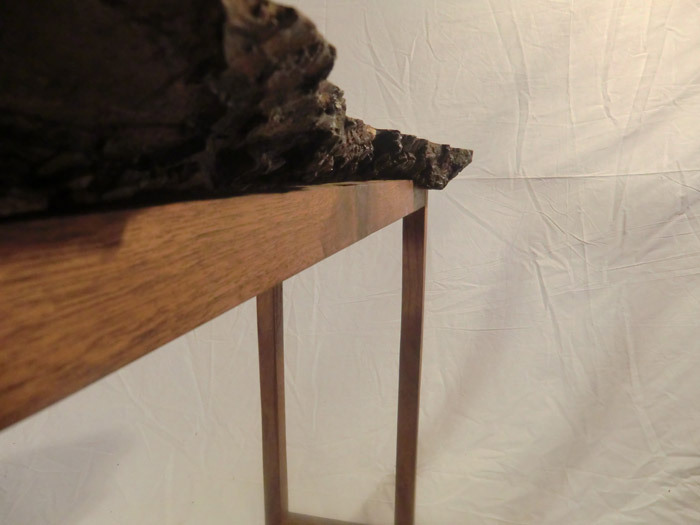 The base, as much a display stand for the slab of walnut as a base, is elegant and purposefully understated..